A group called the Archangel Ancient Tree Archive is seeking to repopulate many of the planet’s struggling forests by cloning its most fittest specimens. 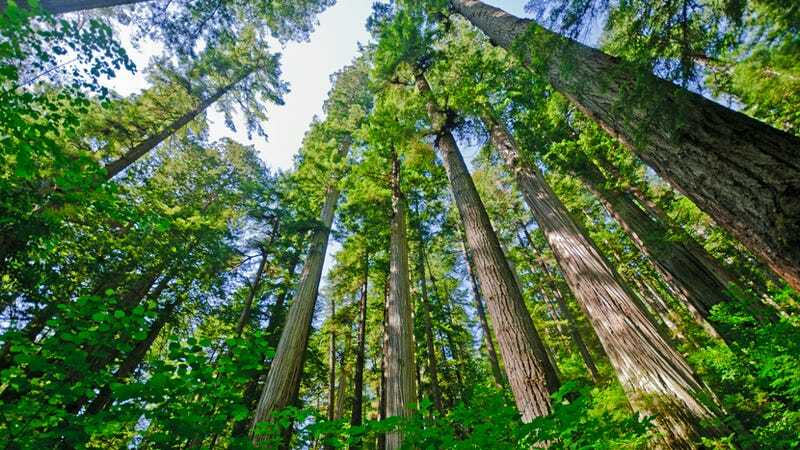 Here's a catch 22 for you: Let's say that some trees have great genes that allow them to live for millennia and grow to be almost as big as skyscrapers, but that because they are so big, they are ideal targets for lumberjacks so they almost all get cut down. Think of it as a kind of inverse natural selection — destruction of the fittest, so to speak. The folks at the Archangel Ancient Tree Archive think this is a tragedy, and they want to try to undo the damage as much as possible by, first, creating a genetic library of as many tree "success stories" as possible (it's sometimes possible to find viable shoots coming out of the stumps of trees that have been cut down long ago), and then cloning them to repopulate forests around the world with these proven super-trees. Recently, the Archangel Ancient Tree Archive group took an important step in implementing its mission. It will begin planting redwood clones at nine locations: Germany, Ireland, Wales, Great Britain, New Zealand, Australia, and in the United States (California and Oregon). Locating these trees in multiple locations worldwide will help to ensure their chance of long-term survival in the face of climate change. Declining rainfall and snowpack, and higher temperatures are putting these trees under great stress in their native range. The worldwide locations were chosen as surrogates for the ideal type of climate projected for the future to give these trees a greater chance for long-term survival. This practice is known as assisted migration, which allows with human intervention, a species to relocate to more favorable location in the face of our rapidly changing climate. More details about the tree-planting ceremonies around the world can be found here. The Archangel Ancient Tree Archive is a non-profit, and if you want to support them, you can make a donation here. This article originally appeared at Tree Hugger. Learn more about Michael Graham Richard. Follow him on Twitter.